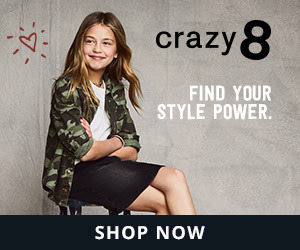 Right now at Crazy8 you can save an extra 20% Off your purchase with code C8BDAY at checkout! This makes those Back to Schools deals that much sweeter! Offer ends 8/10. Shipping is FREE orders $50+ or choose flat rate economy shipping for just $6.